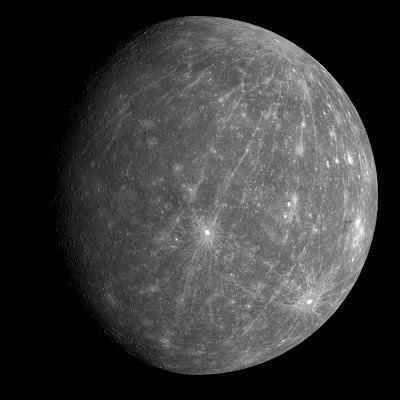 The MESSENGER probe has returned to Mercury for its second flyby and sent back some pretty spectacular images. Mercury is an incredibly mysterious planet that's puzzled planetary scientists for decades. Among other surprises, Mercury shouldn't have a magnetic field or an atmosphere, but it does. And it appears there's ice on the planet despite surface temperatures that can reach 800 degrees.